Synopsis: What better way to heal your first broken heart than by finding your first true love? Twenty-two year old Phinegan Swift is a hopeless romantic–a true believer in love. That is, until Douglas, her high-powered lawyer boyfriend and boss, betrays her. Completely devastated by his betrayal, she runs off to Costa Rica for a week with her best friend, Dez, to heal her broken heart and to find her sense of self again. Instead, she finds Byron Michaels, a handsome and mysterious stranger who harbors a secret that Phin just can’t figure out. All she knows is that Byron is a thief…First, he tries to steal her luggage, then he steals her massage, and finally, he tries to steal Phin’s heart. Who is Byron? What hidden agenda has him following Phin all over Costa Rica? And why is he the only thing that works to keep Phin distracted from her heartache? Just as Phin’s heart begins to heal, things take a dramatic turn when Byron betrays Phin in his own way. Then, as she’s reeling from this, someone from Phin’s past shows up to win her back…or so he claims. Will Phin have gained enough clarity to make the right choice? Will Phin be able to see both Douglas and Byron for who they really are? Will she do what her head tells her, or will she do what she always does…and follow her heart? I will admit that I had no idea what to expect from this book and I was pleasantly surprised. Avery Hale’s short novel about Phin’s journey of self discovery while on holiday in Costa Rica had me hooked from the get go. I felt Phin’s pain over her bad breakup and forgave her for some of naiveté; heartbreak makes us feel and think crazy things, makes us believe that even the worst offenders can change. One thing I really enjoyed about Hale’s writing were the descriptions she took the time to give about the resort and about Costa Rica itself. I’ve never been but it certainly sounds gorgeous! I would have liked a bit more backstory on Byron–I wanted to know what made him tick and felt left out that he wasn’t explained very much. Hopefully in the next book in The Phinegan Swift Adventures in Life and Love Series will shed a bit more light on Byron’s murky past! 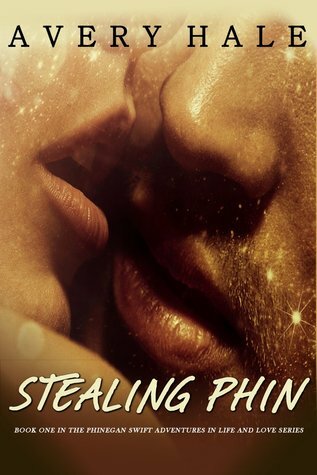 Stealing Phin is available as an ebook on Smashwords and Amazon UK. Say hello to Avery Hale over on her Facebook page.